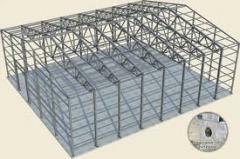 Frameworks metal for greenhouses and hangars The framework of a hangar 20*30*4, pryamostenny, dvukhskatny is on sale. 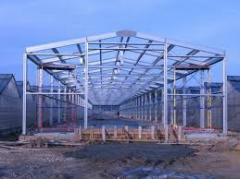 We make, we mount, we build rooms of any sizes. The made production Specify the price by phone. Design, calculation, production, delivery, installation of metal designs of different complexity for construction industrial (production rooms, shops), agricultural (granaries, ovochekhranilishch, pigsties, farms, hen houses, cowsheds, calf houses) objects, office rooms, etc. 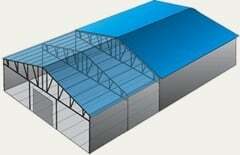 Unbelievable price on Hotbeds, greenhouses and components for them in Kalush (Ukraine) company StalBudMontazh, OOO. Wide choice of quality products at affordable prices.